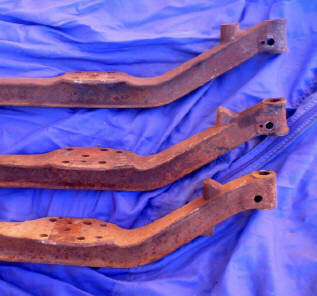 T axles are $250 plus shipping to drop yours 1" to 3"
These work good on 1946-47 Ford pickups with 1940-41 front sheet metal. 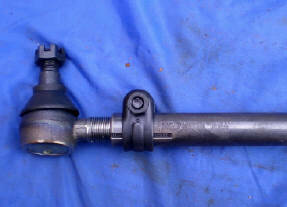 No shock mount holes in axle. 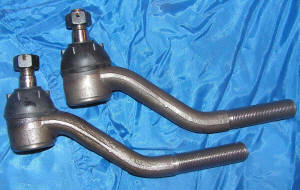 Will drop axle any amount up to 3" over stock. 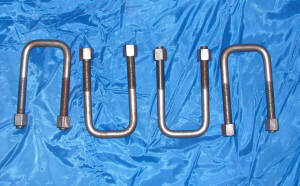 See F1 Axle Installation in Tech Articles! 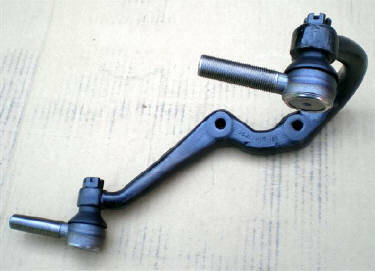 Has no shock mount holes in axle. 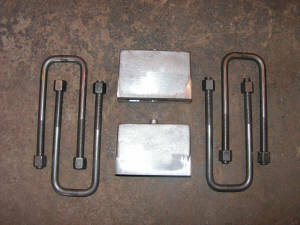 Will drop any amount up to 3" overstock. 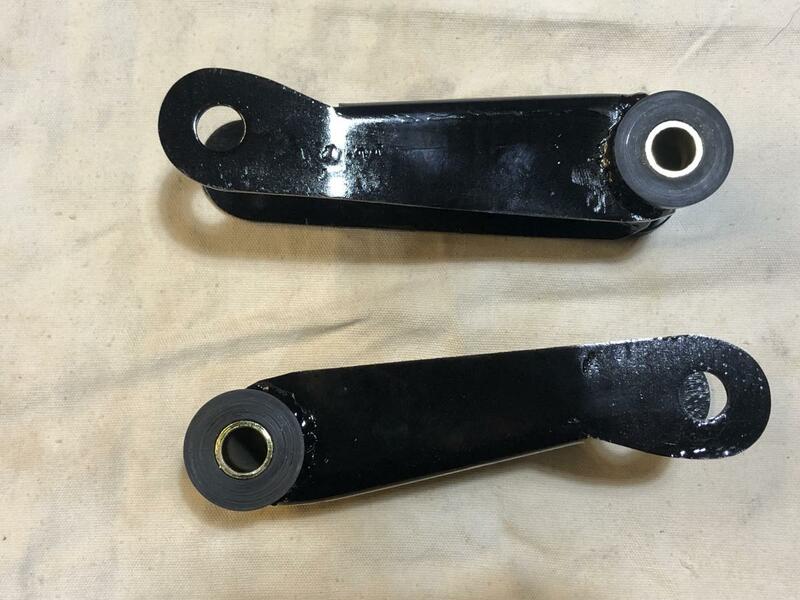 Note: Some 57-60 Pickup Axles do not have dip in center but are same measurements. 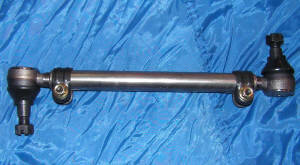 Has shock mount holes in axle. 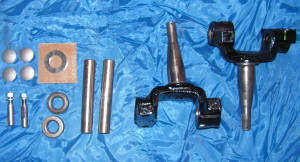 Econoline axles are $350 plus shipping to drop your axle or exchange. 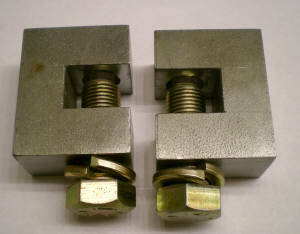 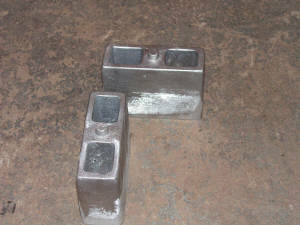 These tie rod drop blocks can be used to lower your tie rod down 2" Will work with 1948 to 1964 Ford 7 degree tie rod ends. 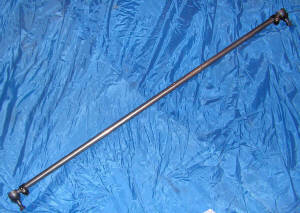 11/16" 7degree taper. 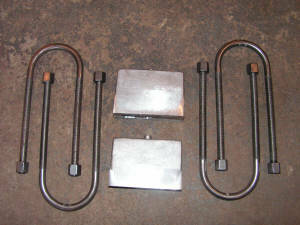 Can be used with 1948-64 Ford dropped axles. 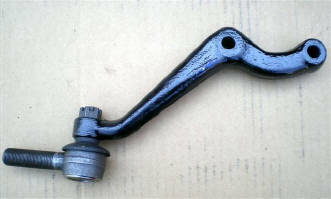 Complete Tie Rod for 1928-64 Fords. 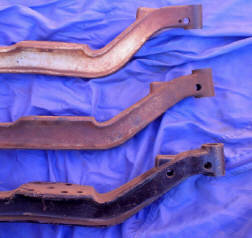 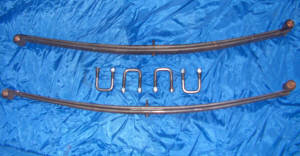 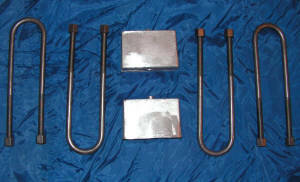 1953-1956 Ford Y hangers for rear springs- $95 pr. 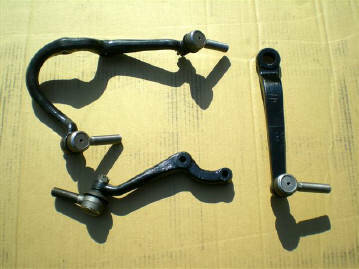 1967-1964 Ford Rear Shackles $100 pr. 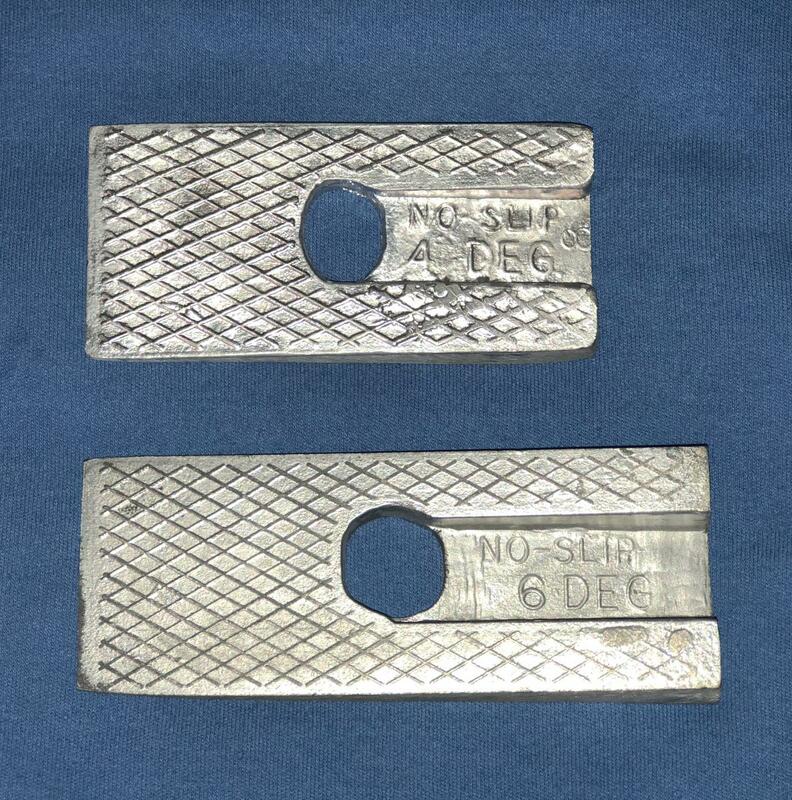 Make sure you have a Safe Scrub Line Clearance. 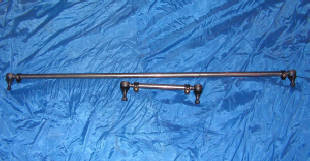 If you don't see what you need Please Ask!